August is the National Let’s Go See Awareness Month. 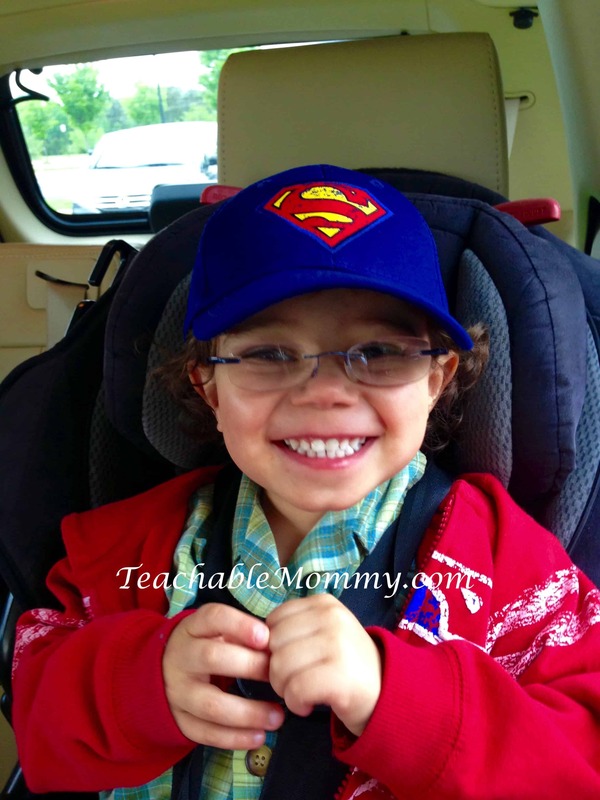 As a mother of a little one who wears glasses I learned quickly the importance of annual eye exams not only for adults but children as well. Sometimes our kids cannot communicate that something is wrong or their vision isn’t as crisp as you would expect. That was the case for my little guy. He was 3 when he started wearing glasses. With an annual exam, vision problems can be spotted earlier and your child can get the help they need. Visionworks and Davis Vision are inviting parents, teachers, coaches, and community members to visit Let’s Go See to nominate a child, school or organization in need of a free comprehensive eye exams and glasses. For parents who do have vision insurance, have signed up for ACA, or have the financial means to afford an eye exam they are asking them to help spread awareness by pledging to get their child’s eyes examined before school starts and share their pledge on they social networks. I am happy to be apart of this campaign. Join me in pledging to take our children for their annual eye exams. 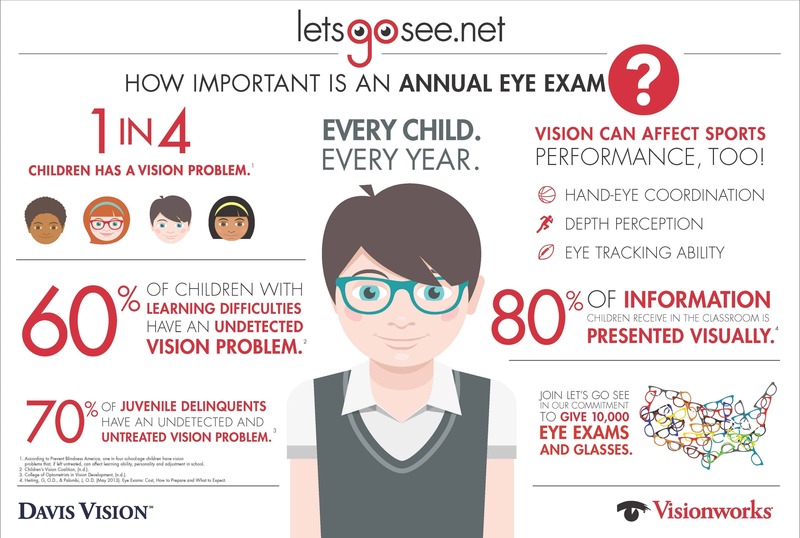 Let’s Go See is committed to donating 10,000 eye exams and glasses to children to children in need. Nominate a child, school, or organization to help them get the exams they need. Great information here for parents! I love the little infograph; cute and full of important things to know about eye exams for kids. Thanks for sharing! I have to take my daughter She really wants her glasses! Great information for parents. My son gets a yearly checkup for his eyes. What a great initiative! I love how Let’s Go See is donating not only eye exams but glasses to children in need! My kids get check ups every year and I’ve worn glasses my whole life. Great info for parents! I am not sure if my kids have ever had their eyes checked. They have never complained about their vision so I didn’t think to set up an appointment. When they get checked for back to school I will set up a eye exam too. I love this. As an educator, I have had to make the call home to tell a parent that their child is squinting more and more and they are having trouble seeing the board many times. There are even times when they just aren’t exhibiting any of those signs, but they fall behind in their work. Upon investigation, I have found that they just can not see it well.